Rockaway, NJ – April 26, 2017. 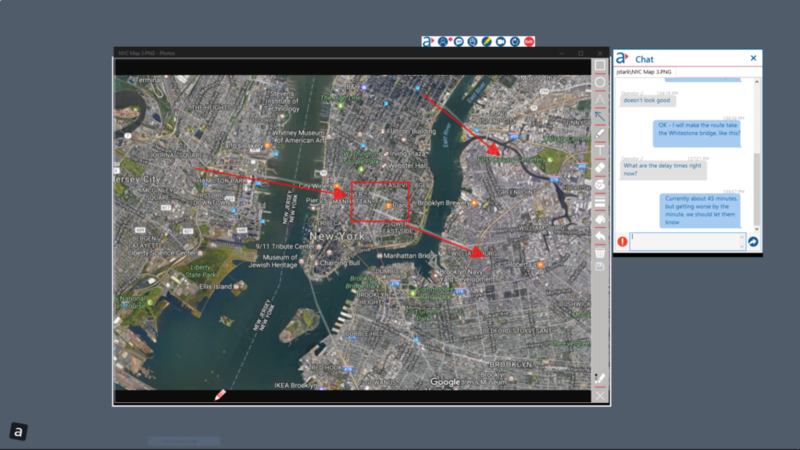 Activu, the developer of ActivWare™, the leading visualization and collaboration platform for mission-critical control room environments, unveiled ActivShare®, a new desktop collaboration product for the control room and beyond. ActivShare provides a way for decision makers in the control room (and other locations) to quickly and intuitively collaborate and share information with one or more network connected users with three clicks of a mouse. It allows any user to share any application window on their desktop with one or more users or onto one or more network-connected displays, including video walls, conference room displays and remote desktops. ActivShare is fast and efficient and does not require launching a separate application. ActivShare can be purchased as a separate standalone collaboration solution or as part of Activu’s control room video wall visualization solutions. ActivShare tracks every application window on the desktop, providing access to ActivShare through a menu button conveniently placed on the title bar of the active application. ActivShare provides robust tools, including integrated multi-user chat and white boarding, to allow users to collaborate in real-time.